Excellent text, the author seems to be reluctant to release the 4th edition for some reason, he wouldn't reply about it either. Make sure to watch his series. Im sure he already figured out how Ed built the castle. The link should work now switched over to Google Drive document should be available. Kens terminology can be confusing. He combines insights from Eric Dollard with insights from some other observant specialists. The result can be gobbledygook . However, a little patience is rewarded by an insight into what Ken is pointing out . Dielectric is a region which consists of different charges the charges are believed to be points. Again the charges can be opposite, plus and minus, or different potentials. Issue here is that in standard electrostatics the charges are assumed to be in static equilibrium. Thus in standard electrostatics the dynamic stage in which the charges rearrange themselves into separated regions is totally ignored. Are these charges electric or magnetic? So William Gilbert and Ampére believe them to be magnetic. Later theorists, including Maxwell, separated the charges into two sorts. The first sort was magnetic and the second sort was electric. The justification for this was the observed differences in behaviour of so-called charged objects. However it is clear that the process that was being observed was, is called induction on an object or material. The nature of the charge is indeterminate. Because the dynamics of the situation is ignored in electrostatics, and in Magnetostatics, the notion of induction is also ignored until much later. The velocity of induction for a magneto static or electrostatic situation differs. In the so-called electrostatic situation, according to the material, induction appears to take place at a very rapid rate. In fact rapidity of the rate is described by the term conduction. Maxwell determined that the induction in certain materials is so rapid that they would be called conductors. However we are looking at the same process the process of induction into different materials. Because the fields were determined to be static, by that I mean the fields of study, the rate at which the in juicer was brought near to the inductor, that is material that will be induced, the rate of induction caused by the movement of the inducer was ignored until much later. What Ampére noted was that statics was the wrong way to consider magnetic phenomena. Therefore he coined the term electrodynamics. This is not a tall to say that he believed in little points called electrons. In fact he considered many options but his favourite was dynamic circuitous movement which generated magnetism in a north south pole orientation. He believed that in a copper wire, or copper rod there were small regions which were in this dynamic. Beyond that he could not give any account of is notion, Ampére observed when the battery is connected in a circuit a magnetic North Pole alignment is generated within the circuit . So therefore some circular dynamic is causing this dipole or dielectric arrangement. Later on Faraday noticed when the magnetic field was changing, that an induction was noticed within the circuit. So both a battery or a moving magnetic field induced this behaviour within a circuit. Equivalence of a battery and a changing magnetic field, the dynamic situation, should not be ignored at any scale or any dynamic or changing situation including chemical reactions. Because of the belief in electrons, or magnetron the movement of the magnetic field was ignored. Movement was therefore placed only n the so-called electrons or magnetrons, this movement represented both induction and also generation of the magnetic field. It is much simpler to represent the changes as different modes of the same thing. Therefore the movement of a magnetic field generates a different mode of magnetic behaviour. The rate of induction by the movement of the magnetic field is equally as fast as the rate induction by the so-called electric charge in a conductor. The rate of induction in the conductor is therefore the same weather is induced by so-called battery or that induced by removing magnetic field. “Field quote is just a shorthand expression for the region around a magnet which influences material which is in its environment. Is the field steady? Magnetostatics that it would have you believe that it is. However magneto statics like electrostatics ignores the dynamic stage of induction. When iron filings are sprinkled onto a magnet it is obvious to the eye and findings are in motion. When they achieve a state of rest they settled quickly into a state of equilibrium. When the paper is tapped get moved and they then also move into a different state of equilibrium. So therefore it is hard to think of the “field “as being static, it is easier to think of it as being in dynamic equilibrium. Because the field is in dynamic equilibrium Ken is right poles as static entities do not exist. Instead we have dynamic regions where the dynamism concentrates. When we discuss attraction and repulsion we are talking about these dynamics within the “field “. Kens use of the word counterspace is misleading. The idea of counterspace comes from Steinmetz. It is a mathematical term and it refers to the fact that the field that we use to count or measure the strength of rotation within a magnetic field is an exponent or power or a logarithm . The term field or space here is the mathematical one. That is it is a set of numbers. When objects are “drawn “together it is a moot point. The objects are either drawn by some spring or they are pushed together by some spring externally. This is mechanical explanation of what is observed. However it is more useful in thinking that space is somehow disappearing into some dimension. We can replace a spring by a dynamic pressure of expansion and contraction in a fluid. Bloch wall, which appears between the north and south polarities when they brought together, indicates where the dynamic is nUllified. When we m this Bloch wall by means of a test dipole we find that there is a region where the torque is balanced on the dipole. So that we can talk about the alignment of the dipole with the alignment of the larger magnetic type as being parallel. However when we look at magnetodynamic we do not get a static equilibrium of the dipole, instead we get the rotation of the dipole as it mous relative to the inducing magnet. We need to understand that in general magnetic behaviour generates rotation not static equilibrium. That’s what we see as attraction and repulsion as part of this general rotation relative to each other. At one end of the so-called polls rotational be observed t at the other end attraction will be observed as there is and is it a rotating away from each other will push the other end together. This the analogy of a gyroscope is apt and is useful. It’s utility comes in acknowledging that the “field “ is dynamic, it is a torque or Rotating field , and therefore gyroscopic motions with in dynamic fields or torque fields need to be considered. 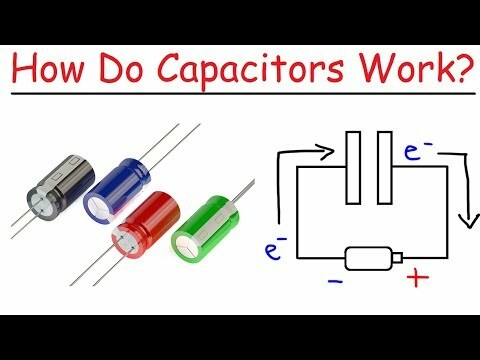 A capacitor stores its energy in a dielectric. A PMH stores its energy in the magnetic current in the magnetic material. The ferromagnetic material is also a dielectric but it is a very poor one. It is therefore necessary for the ferromagnetic material to take the form of a closed loop. When in the form of a close loop the energy circulates around the ferro magnetic material in what Ed Leedskalnin called a magnetic current. If we connect capacity to a PMH we should expect an oscillating Or alternating current flow in the circuit until it disappears. This gives insight into what happens in the battery. The battery stores energy in both these forms within the chemical reactions that occur within the battery. However, as we know,a battery is not needed to charge a capacitor inductor circuit. We could use a generator. Thus we can see that Energy can be stored within the PMH or within a capacitor which is a dielectric form in which the dielectric is a poor conductors or it can be stored within a PMH or it can be stored in a capacitor inductor circuit itself. The implications for transformer design, and transformers within any electric circuit, great . This means that if a transformer is disconnected from a circuit it will still carry a magnetic correct. Reconnecting such a transformer back into circuit will cause a flow of magnetic charge which could burn out a generator. In addition trying to disconnect a transformer in alternating current circuit will lead to flashback of energy . The implications for storage of energy in the sun it’s also great. When are PMH is situated within the surface of the sun the magnetic current will flow smoothly. When the PMH breaks the surface of the sun then the magnetic current will form a loop of plasma involving several ferromagnetic / magnetic materials . This loop may discharge violently. We call such discharges coronal mass Ejections. It also gives a better explanation of the so-called magnetic reconnection. NASA has shown that where so-called magnetic reconnection events occur magnetic bubbles are also present. These magnetic bubbles are what we call PMH . They are closed magnetic loops within the magnetic aether. And finally, this has great implications for the understanding of plasmoids. Is it possible that the nucleus of the atom is caused to rotate by resononsnce? Ant he faster the nucleus is rotated the greater the end strength. If fluid is necessary to generate magnetic current how does the generator explain this?